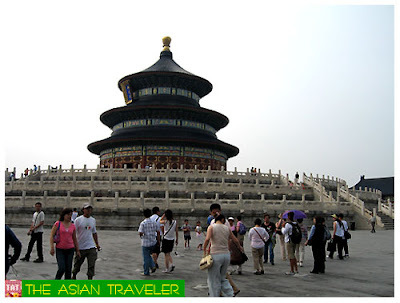 Temple of Heaven is located in the south of Beijing, covering an area of 2.73 million square meters. 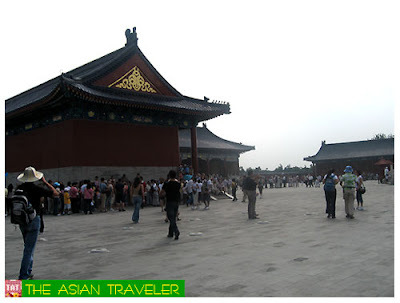 It is the most holy imperial temple in Beijing and it is much bigger than the Forbidden City and smaller than the Summer Palace. 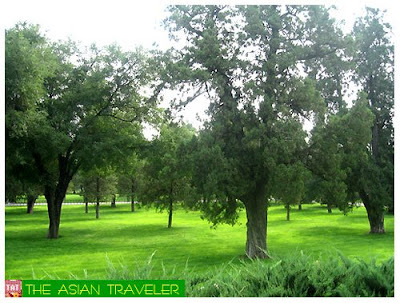 Upon entering the temple, I was simply astounded by the vast green trees enhancing the natural beauty of the place. 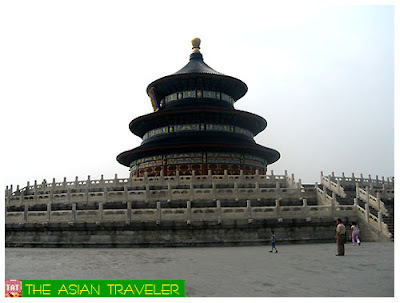 The design of the Temple of Heaven complex reflects the mystical cosmological laws believed to be central to the workings of the universe. Hence, complex numerological permutations operate within its design. For example, because the number nine was considered to be the most powerful digit, you will see that the slabs that form the Circular Altar have been laid in multiples of nine. Similarly within the Hall of Prayer for Good Harvest. 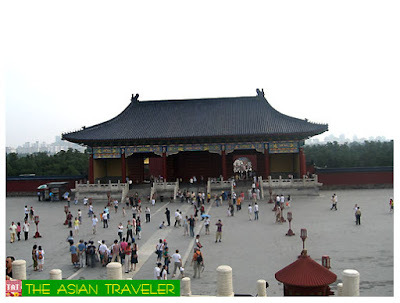 Hall of Prayer for Good Harvests, was built in 4120 during the reign of Ming Emperor Yongle, the original hall, rectangular in shape, was first named the Great Hall for Sacrificial Rituals used to worship both Earth and Heaven. 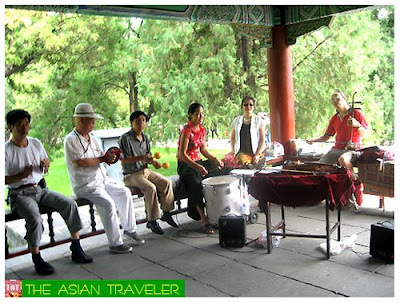 In 1545 during Ming Emperor Jiajing’s reign, it was rebuilt as a round hall with a triple-eaved roof covered with blue, yellow and green glazed tiles symbolizing Heaven, Earth and the mortal world; it was renamed the Great Hall for Offering Sacrifices. 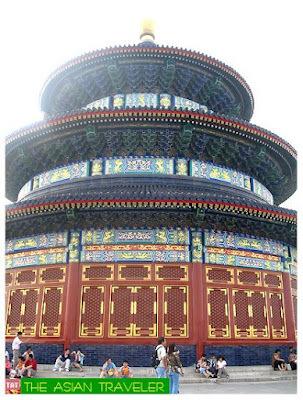 Reconstructed again in 1751 during the reign of Qing Emperor Qianlong, it was surmounted by a triple roof with azure glazed tiles only, culminating in a gilded sphere and renamed the Hall of Prayer for Good Harvests, exclusively used to pray good harvests in January. It is 38.2 meters high and 24.2 meters in diameter, the hall is supported by immense pillars, symbolizing the four seasons, the 12 months of the year, the 12 divisions of the day and night, and all the constellations. 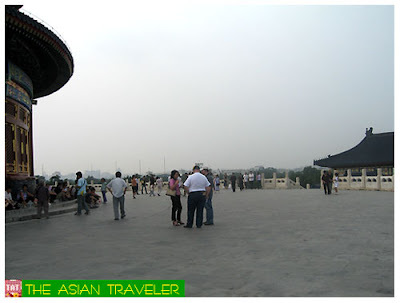 It is the only existing example of the ancient Ming Tang architectural style. 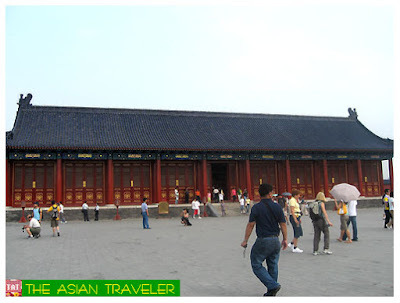 East Annex Hall of the Hall of Prayer for Good Harvests, was constructed in 1420 during the Ming Emperor Yongle’s reign, its original layout was two rolls of halls-the front hall with 9 bays, the rear with 7 bays. 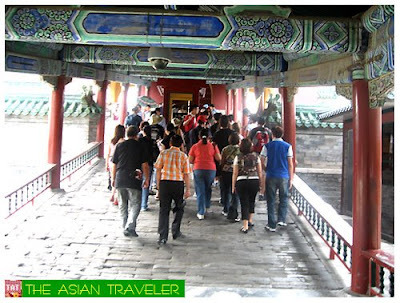 In 1751 Qing Emperor Qianlong had the rear hall removed due to “its orderly arrangement”. The front hall remained to house the divine tablets of attending gods. 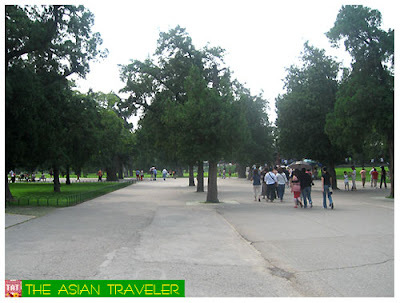 It is said that during the Imperial times commoners were not allowed to enter the enormous Temple of Heaven. 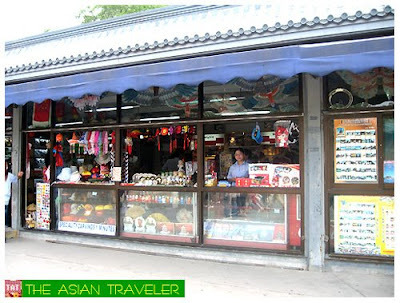 But now, for a minimal fee the door is open to all Chinese citizens and tourists who can enjoy it all day long. 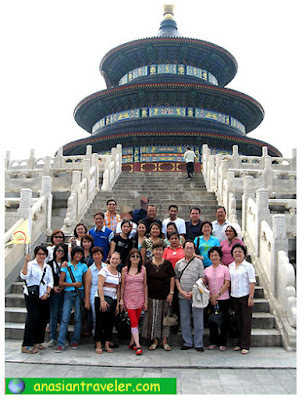 UNESCO placed the Temple of Heaven on the list of the World Cultural Heritage in 1998.